The form is characterised by the higher stances, and stepping movements of the feet. Movement in the form is fluid and comfortable, and postures are not held for long intervals. Different from other traditional forms of Tai Chi, the Sun form tends to move the weight to the standing leg, whilst the other leg remains poised for rapid movement in any direction. 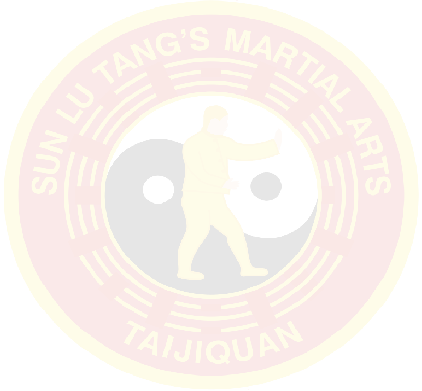 As it draws upon Sun Lu Tang’s vast experience of the arts of Xing Yi, Bagua, and Tai Chi Chuan, the Sun form is a very effective style of Tai Chi Chuan. The movements of the form lend themselves to the correct practice of Tai Chi Chuan for health and martial benefits. The use of the upright stances, flowing moves, use of the waist, generation of the different chi energies, and the peacefulness and, meditational aspects experienced in the performance of the form make the Traditional Sun 97 Step form most suitable for people of varied experience and abilities. The form is also adaptable to offer opportunity of access for people with movement difficulty, and has been used as a basis for introducing the benefits of learning Tai Chi Chuan to a wide range of people.